Your home is your castle and, much like a 5 star hotel, when you return would you like to find it sparkling with the beds turned down as though the fairies have been in and sprinkled some of their magic around? 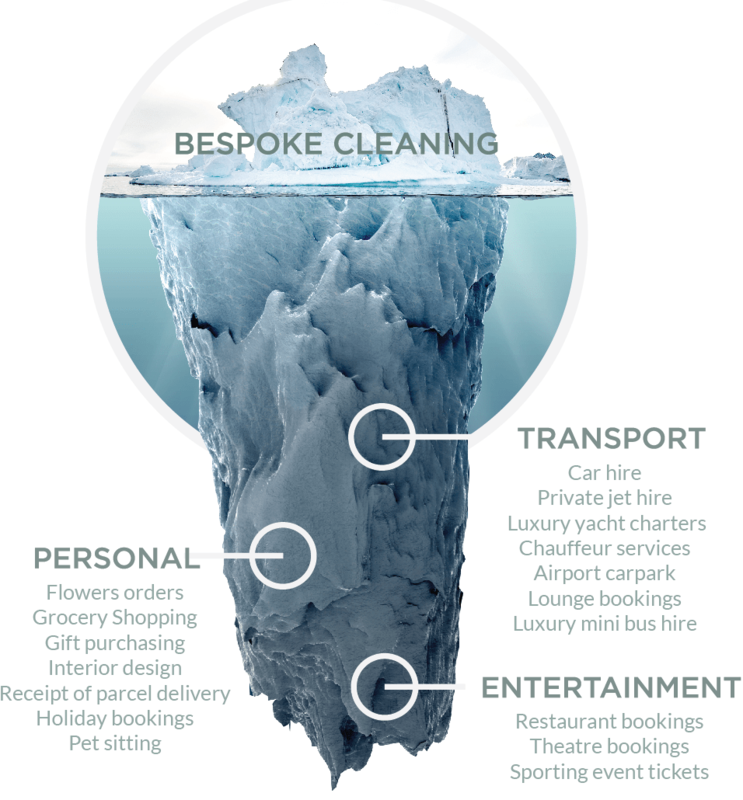 At Pure concierge we are 100% customer focused and have amassed a team of extremely thorough, quality driven, understanding staff across the North East of England who will do their upmost to provide you with the bespoke service that no other company can even come close to. When you finish work the last thing you want to do is walk into a messy house or be faced with doing the dishes then cleaning the bathrooms all before you even have a chance to sit down with a nice glass of wine and unwind, we understand how busy people are, so want to help you enjoy your life by taking away all of your unwanted tasks. This is a new concept that you will not find anywhere else and as you will see from this website we can offer so many solutions you won’t need to use any other company, taking away the need for you to expend even more precious time ‘ringing’ around. Leave it to our dedicated team and let us be your personal concierge. With a management and Administrative team with over 60 years of cleaning experience, over 30 years in high end service sectors and 20 years in the care sector we are sure that we can deliver quality every time. We don’t just ask you for a time that suits you and send in a cleaner like all other companies! Once you have enquired we will chat about what exactly you require, we will then visit your property so we can meet you but more importantly you can meet us. This service is 100% bespoke and every client wants things done a certain way and that is why we are here.